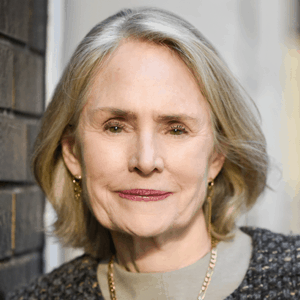 Berkery Noyes Represents Ten Speed Press In Its Sale To Random House - Berkery, Noyes & Co., LLC. 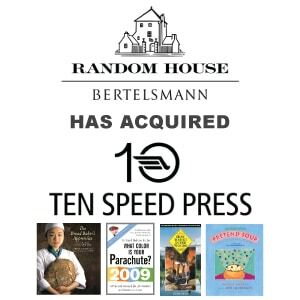 New York, March 2, 2009 — Berkery Noyes, a leading independent investment bank serving the media and information markets, announces that it represented Ten Speed Press in its sale to Random House, Inc., the book-publishing division of Bertelsmann AG. Terms of the transaction were not disclosed. For almost four decades, Berkeley, California-based Ten Speed Press has built a reputation for critically acclaimed and perennially popular books in the business and career, cookbook, and mind, body, and spirit categories. The Company publishes more than 100 new hardcovers and trade paperbacks annually and has a backlist of more than 1,000 active titles. Among the books published by Ten Speed Press are Richard Bolles’ What Color Is Your Parachute, the bestselling job- hunting book in the world with more than 10 million copies sold; Mollie Katzen’s classic The Moosewood Cookbook (more than 2 million copies sold); and The New Detox Diet by Elson Haas and Daniella Chase (more than 500,000 copies sold. About Ten Speed Press. – Ten Speed Press is a nonfiction book publisher that has been based in Berkeley, California, for more than 35 years. Ten Speed’s books are sold worldwide through its international distribution partners and its Canadian sales office in Toronto. After 35 years in business, Ten Speed had become one of the largest, bestselling independent publishers in the United States. About Random House, Inc. — Random House, Inc is the world’s largest English-language general trade book publisher. It is a division of Bertelsmann AG, one of the foremost media companies in the world.